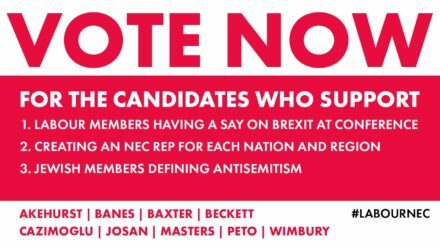 Voting for Labour’s NEC candidates starts today. Labour members will receive their email or paper ballots over the next few days, allowing them to choose nine local party representatives to sit on the party’s ruling body. The ballot will consist of all candidates who earned their place after being nominated by at least five Constituency Labour Parties (CLPs). Although the nominations weren’t binding, they are often indicative of the final result, and the Corbynites look likely to win a clean sweep. But independent Ann Black is thought to have a chance of taking one of the places, despite having been dropped from the official Corbynite slates. Meanwhile, the nine candidates backed by Corbynsceptic groups Progress and Labour First received fewer nominations than the #JC9 or Black. 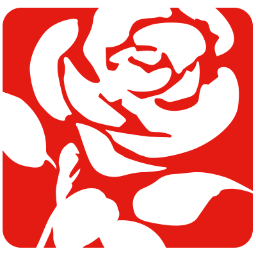 However, their campaigns around holding a conference vote on Brexit (LabourSay.EU) and their pledges to scrap the controversial code of conduct in favour of replacing it with the full IHRA definition mean the number of votes they receive will tell us something about the state of the party. Voting closes on 30th August. The nine CLP representatives (including at least four women) elected before party conference will serve terms of two years from October 2018. This slate of nine is backed by left-wing Corbynite groups Momentum, Campaign for Labour Party Democracy (CLPD), Centre-Left Grassroots Alliance (CLGA), Labour Assembly Against Austerity (LAAS) and others. You can read their candidate statements here. Momentum have been using social media to explain the role of the NEC and highlight the reasons for which it is an important body. They have specifically pointed to decisions that affected how the 2016 leadership election was run. 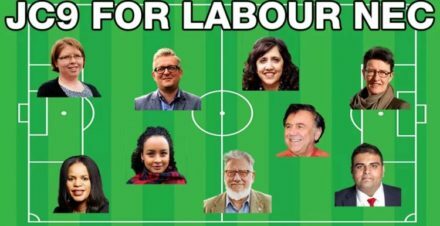 During the World Cup, the campaign group also produced an infographic showing its endorsed candidates on a football pitch. Ann Black received 179 CLP nominations, though she is standing as an independent candidate supported only by soft left group Open Labour. Long considered to be a Labour left veteran, Black was dropped from the official Corbynite slates (the Labour Representation Committee pulled backing in 2016, and Momentum followed suit this year) after being blamed for the six-month freeze date on members voting in the 2016 leadership contest. LRC also cited her role in overseeing the suspension of Brighton, Hove & District Labour Party as a reason for her loss of support. At the time, Black explained that she had proposed a cut-off date of June 2016 (rather than January 2016) but the motion was not carried. She also says the Brighton suspension was the responsibility of the governance and legal unit, and that she voted for Jeremy Corbyn to automatically have a place on the ballot paper. Black is currently a member of the NEC but no longer chair of the important disputes panel. She was replaced by Christine Shawcroft, who in turn had to step down from the role and resign from the NEC over an email that showed support for a party member recently suspended over alleged Holocaust denial. Campaigners for Black will likely call attention to her detailed NEC reports and reputation as a veteran of the Labour left. 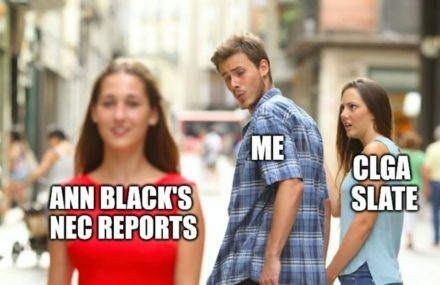 Others may want to like her Facebook meme page: Ann Black Memes for Soft Left Teens. The Corbynsceptic slate doesn’t have a hashtag, but is referred to by some Labourites as Richard’s Angells. Progress say they have the most diverse slate that has ever run for the NEC, with seven women, three BAME people, one trans person and seven from outside London. Eddie Izzard is currently on the NEC, as he replaced Shawcroft, but stands as an independent. Nicola Morrison, Jonathan Fletcher, Stephen Stanners, James Craigie, Stephen Guy, Gary Spedding, in order of nominations, are also all standing as independent candidates.